It's that time of year again. The leaves are starting to fall, comfy sweaters are back in fashion, and good ol' Dr. Junkenstein is up to something he probably shouldn't be. Luckily, the heroes of Overwatch (or in this case, Adlersbrunn) are always ready and willing to thwart... whatever it is he's doing. 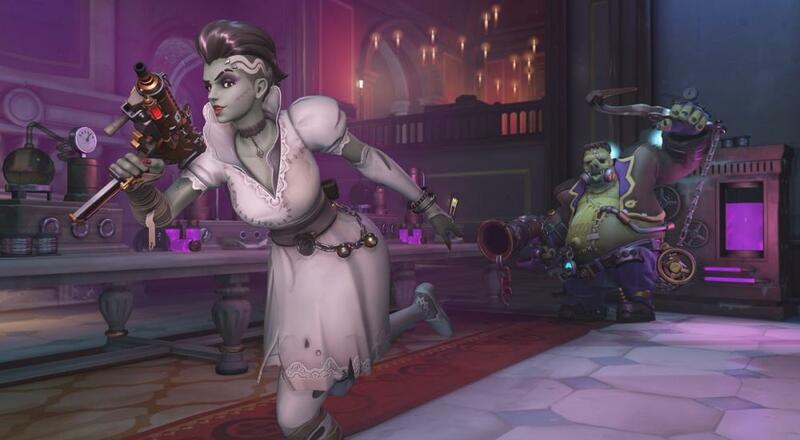 That means the game's co-op horde mode is back in the form of Junkenstein's Revenge and, new to this year, Junkenstein's Revenge: Endless Night. Despite the addition of the extra mode, the formula remains relatively unchanged: four players each select a hero and then fend off waves of enemies, with each section of time punctuated by a boss fight. Of course, the other main attraction of Overwatch's holiday events is the addition of limited-time skins for some of the game's characters. Among other new skins, Pharah has transformed into an enchanted suit of armor, Doomfist has assumed the role of a swamp monster, and Moira has somehow gotten herself turned into a banshee. If you're interested in the full list of new skins and other cosmetic items, check out the official site here. Overwatch has been available on PC, Xbox One, and PlayStation 4 since May of 2016. Outside of the seasonal modes, up to six online players can "comp stomp" in the game's traditional mode.